Audiobook Comments: I love January LaVoy and it’s always a pleasure to listen to her narrate a Star Wars novel. As usual, she delivered a great performance, and even sounded a lot like Gwendoline Christie whenever she had to say Phasma’s lines, which impressed me a lot. I would never not recommend a Star Wars audiobook! This sounds like a read that is okay, entertaining, but lacking in the people ‘feels’. Yeah, sometimes the narrator makes the difference. She sounded so much like the actress it was disconcerting sometimes! You’d get more out of it if you’re a fan of the character, I guess. Thanks for your review! I think I’ll be able to enjoy this better than if I’d gone into it with the wrong expectations! 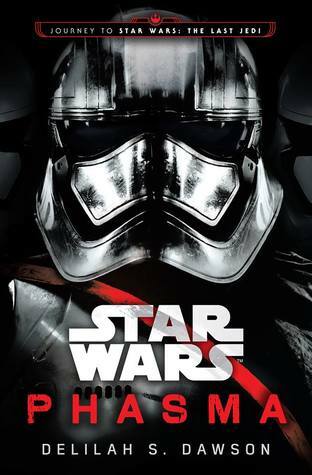 As long as you don’t expect too much from the characterization, I think you’ll do fine 🙂 I was disappointed that we didn’t get to learn more about Phasma, but the action-oriented story itself was fun enough.